Why do you need a lead nurturing strategy? The buyer is firmly in control and no longer wants to be “sold” to as in the old days before the Internet came into full force. Instead, buyers want to take their time to research and evaluate their own options before they take contact with a company. Buyers want to be listened to, and this type of behavior challenges the traditional way of selling. According to a study by Marketing Sherpa, 73% of leads are not ready to buy when they first give you their contact details. If a lead isn’t ready to buy and your sales team is too aggressive, they are less likely to do business with you. And it’s this kind of misalignment between sales and marketing that is costing companies at least $1 trillion each year. Instead, B2B companies need to find ways to nurture these leads until they are ready to buy, which is known as lead nurturing. According to research from Annuitas, nurtured leads generate a 47% higher average order value (AOV) than deals closed on leads that aren’t nurtured. So, if you’re looking to build stronger relationships with your buyers and generate a higher order values, now’s the time to consider lead nurturing as a strategy for your business. Lead nurturing helps your buyer get to know your business. Think of it as the dating period where two people get to know each other before getting married. It also enables you to educate, inform and build trust with your leads and move them from the top of the buyer’s funnel (when they are not quite ready to buy) into the lower part of the funnel (when they are ready to buy). Creating and maintaining great relationships are still key in this new Buyer 2.0 world. Lead nurturing helps you to be present on the channels where your buyers are present, engage them and increase the chance that they will start a relationship with your business. And that’s not all – only 35% of B2B marketers have established a lead nurturing strategy, which means that by implementing lead nurturing, you gain a competitive advantage. You’ve heard this before – Marketing is from Venus and Sales is from Mars because the two can never agree. Sales are always pointing the finger at Marketing and saying, “You don’t give me enough leads.” Marketing always shoots back, “Yes, we do. You just don’t follow up on the leads.” And the dilemma goes on and on. Just like an account-based marketing strategy, the first step that must be taken is that marketing and sales first have to agree on the definition of a lead. How do you begin defining a lead? In SuperOffice, we say that there are two types of leads. There are the marketing leads and there are the sales leads. 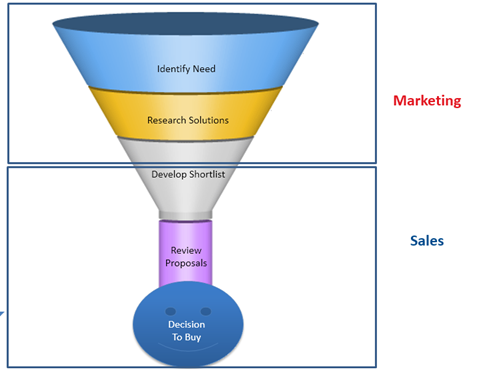 Marketing leads are at the top of the funnel and Sales leads are lower in the funnel. Both are leads. It’s just a question of what you do with which lead and who owns what lead. 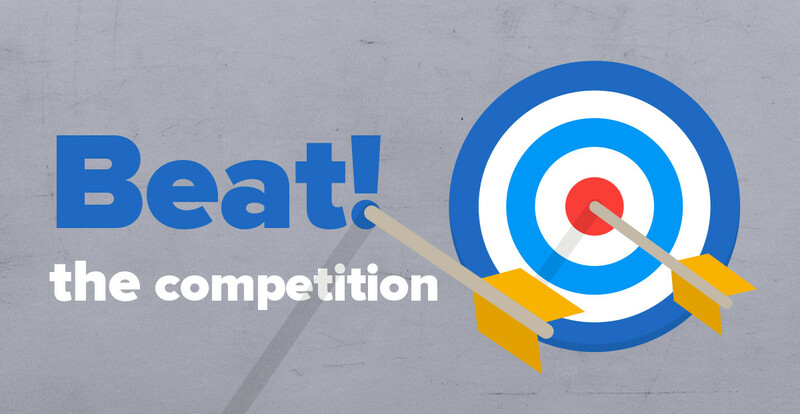 We defined a lead as someone who has responded to our marketing communications, whether it is from a marketing campaign, paid search campaign or direct mailing. We allocate one person per country who is responsible for logging the leads and qualifying them. If the lead is ready to enter into a sales process, then that lead is sent to a sales person to handle in the CRM. If the lead isn’t ready to enter into a sales process, then that lead is owned by Marketing and entered into a lead nurturing process where the lead is kept warm until she became more sales-ready. Keep in mind that every business can or will define a lead differently. The above is just an example of how we do it. When you put so much work into generating leads, it’s really important to have a lead management process in place to handle those incoming leads. In addition, a lead management process helps to ensure that your sales teams are only talking to the most qualified leads and filters out less sales ready leads and so that you can put them into your lead nurturing program. You’ll need to discuss and consider how your company will handle the leads, how and where the leads will be registered, how the leads will be qualified, when the leads will be followed up on and what criteria must the leads fulfill in order to enter into a lead nurturing program. I recommend that both sales and marketing teams are together in one room to discuss and agree on the whole process. This cannot be done by one person alone because you need the buy-in from the other side in order for this to work. It’s also a good idea to have your CRM responsible person in the room with you. You’ll most likely register the leads in your CRM system and this person will be able to tell you if what you want to do is possible or not, or if you will require some extra help. Lead nurturing is all about sharing relevant, personalized and targeted information to ensure that you stay on top of the buyer’s mind. In order to do this, you need to get a good overview of what types of buyers you have and what kind of information they need in each phase of the buying process. Once you’ve gathered this information, you can create personas which mirror your prospective customers. Personas are fictional representations of your ideal customers based on data about demographics & online behavior, along with educated speculation about their histories, motivations & concerns. They help us to understand our prospective customers better, and make it easier for us to tailor content to the specific needs, behaviors, and concerns of different groups. Note that a buyer persona includes the various demographics like age, title, nationality and some personal background. 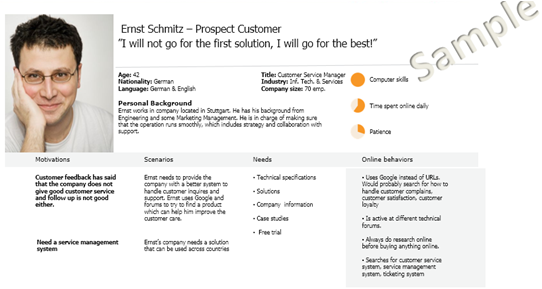 It also includes the buyer’s challenges/ business pains and tells you what kind of information that he needs. After you have created the persona, you can then run a content mapping workshop with your team. Just put the persona up and then brainstorm the different kinds of content which are needed according to the different stages from awareness to evaluation to decision stages. In order to ensure that you maintain the relationship with your leads, it’s a good idea to create a content timeline so that you know when to send what. At this first step, your lead nurturing plan can be very easy. Don’t make it too complicated, or it won’t get done. Once you’ve set up the content timeline, the easiest and most effective way to get your message out is through email marketing. 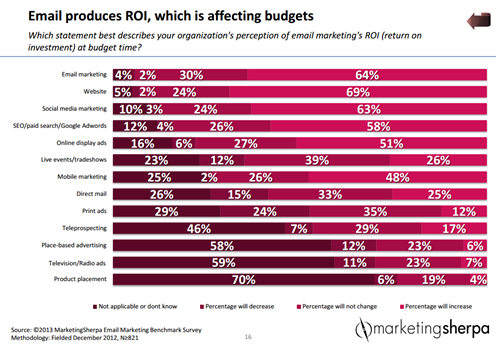 Sixty four percent (64%) of companies surveyed in the Marketing Sherpa Email Benchmark report believe that email marketing provides the highest ROI of any marketing tactic. Email is a crucial part of any lead nurturing program, providing you have a subscribers consent under GDPR. The emails, at any one time, must help your buyers to either save money, solve a problem, educate themselves or be entertained. Educational email content – These are general educational emails that feature content demonstrating the value your company can offer. Make sure these emails aren’t sales-driven. For example, the messages could offer people links to more white papers, blog articles, and videos that you genuinely believe will be helpful to the recipients’ needs and goals. Email newsletter – The primary purpose of this type of is to give your audience something they need to enhance their skills and/or grow their business, and they respond by giving you their attention. It’s a mutually beneficial exchange that serves both parties. The size and amount of content in your email newsletter depends on your resources. It can be as concise as a single 500 to 1,000-word article on a single topic of interest written by you, or as complex as a collection of articles such as a list of popular blog posts, white papers, event announcements or company news. Demo/ Product announcement – Educational type emails are best for lead nurturing, but you should also include some product-specific emails. However, they shouldn’t be too frequent, and they don’t have to be boring. Make them highly targeted and create a clear connection between them and the first emails in your lead nurturing series. These emails are straightforward and should include your company’s branding along with the event’s details. If it is an event your company is hosting, ask readers to register for the event beforehand; this way, you’ll generate leads with their contact information and have a record for attendance. Once they register, send a reminder email the day before or the morning of the event. As your attendee lists grow, use the contact information for upcoming event invites as well. To help grow your event invite lists, make it easy for contacts to share invite registration forms with others by adding social media sharing links that can be used on Facebook, LinkedIn, Twitter, etc. Use these various types of to build a comprehensive lead nurturing communication plan. As you build out these different types of emails, create templates that can be re-used to keep a consistent look and feel throughout your email marketing efforts. The phrase, “Track, measure and analyze”, is any smart marketer’s mantra. This tells you if your efforts have been worthwhile or not. Make sure to have metrics in place that tie to your goals. If you’re looking to drive brand and awareness, measure branded search or direct traffic to your website. If you’re looking to increase leads or email opt-ins, measure how you’re growing your database from you lead nurturing efforts. If you want to measure and increase lead quality, look at the conversions over time and measure how many marketing leads turn into sales leads. Be sure to measure how many leads come in, how many get handed to the sales team and how many enter into the lead nurturing program. Evaluate which type of content generates the most leads, as well as to the quality of the content. Ask your sales teams how prospects are receiving the information and ask them what they think about the content too. All this information will then help you to improve the whole lead and content generation process. Nurturing leads to a sale takes time. It is not done in a month or even half a year. Lead nurturing is one of the most important functions of sales and marketing, and yet it somehow often gets overlooked. Companies that pay attention to this, and who devote the time, budget and the right resources to this process will far outperform their competition who isn’t paying attention to this at all. Do you have a lead nurturing strategy in place? What are some of your key success factors? P.S. : Once you have implemented a lead nurturing strategy, your next steps are to turn leads into sales. Download our free sales KPI guide below to learn more. Thanks for passing along create a revenue and effective leads nurturing strategy here...Nice post!! To create a winning lead nurturing strategy you must identify potential customer who doesn’t know how you can help them yet. Or identify potential customer who wants a bit more information on prices. This is when a lead nurturing process comes in and help you convert and win. Completely agree, Sharon. Thanks for commenting! I like the valuable info you provide in your lead nurturing strategy article. I will bookmark your post and check the blog frequently as I am certain I'll be informed of new stuff right here! B2B companies don't usually focus on lead nurturing which is as a matter of fact is one of the most important marketing strategy. Social media has became a battleground of competition. Since then, finding prospect leads also became a struggle. This article is an eye-opener to those companies that lead nurturing should also have a focal point as part of their game plan. Excellent comment, Judy! I completely agree with you, lead nurturing really is one of the most important parts of a marketing strategy. Jennifer, love this lead nurturing post! This is great article share for getting more visitors through Lead Nurturing Strategy. Thanks for sharing foremost information. I have a lead nurturing list that I've not communicated with in more than two months. This will help as I was wondering how to continue conversations with them. Thank you for sharing information about Lead nurturing strategy! Nurturing leads makes your entire lead generation effort much more rewarding. Very insightful read!